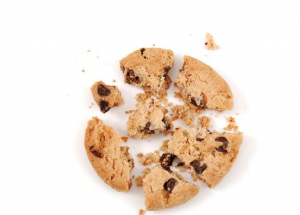 EU Cookie Law – Is Your Website Breaking The EU Cookie Law? Is Your Website Breaking The EU Cookie Law? In May 2011, the EU Cookie Law was introduced throughout the entirety of the EU. It works through requiring any website that utilises cookies to ask the visitor’s permission prior to using the cookies. Many people have deemed the EU Cookie Law as a poor regulation due to addressing a problem that many people are unaware of. Due to this, the law has not been enforced as heavily as originally intended, and did not come into effect in the UK until May 2012. In the UK, if you are not already compliant with the EU Cookie Law or working towards it, you could risk being fined up to £500,000. Yet recent research suggests that 79% of UK consumers believe that changes are required in order to educate the public further regarding cookies. Aim to establish each of the cookies featured on your website via the help of tools such as the Firecookie extension (on Firefox browsers) allowing your audience to see your cookies listed page by page. If you feature social sharing buttons on your website, such as the ‘Like’ button for Facebook, try to specify these in your policy too. We are not trying to scare your web audience off, but instead to promote the awareness of your acceptance to the EU Cookie Law. There are still so many people that do not understand this law and therefore it would be beneficial to educate the UK on Cookies and the EU Cookie Law, in order for more website owners to comply with it. www.SEOEssex.co.uk complies with this law and you will have noticed when you first arrived here, a message at the top of the site giving you a choice to accept or not. If your website is breaking the EU Cookie Law, get in touch with us today and we can get this corrected for you very quickly.